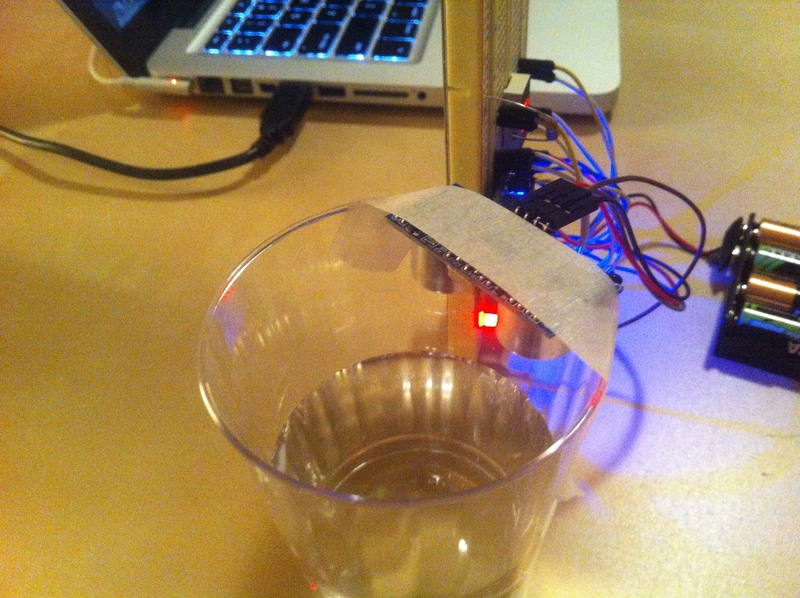 This setup is a test of remote water level monitoring using an ultrasonic sensor. 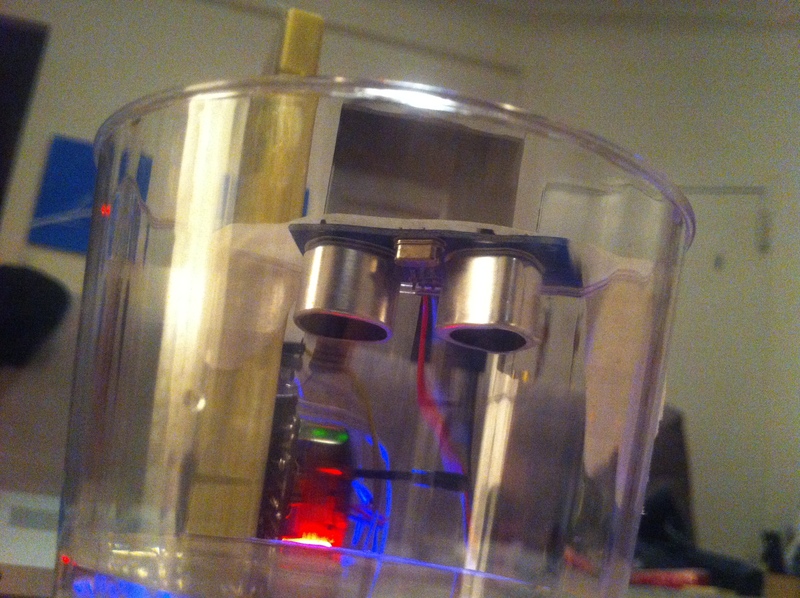 The water level is measured as the distance between the water surface and an HC-SR04 Ultrasonic Distance Sensor. 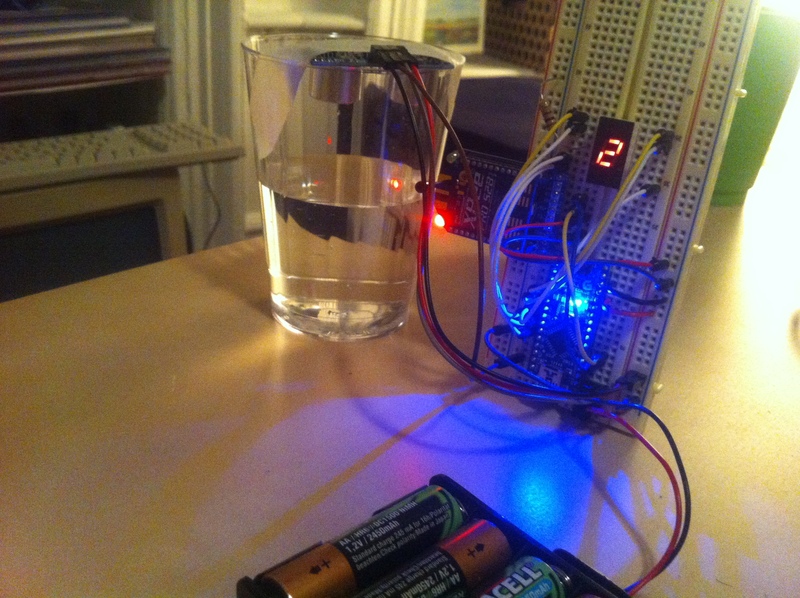 This measurement is read by an Arduino which displays it locally on 7-segment display and transmits it to my computer wirelessly using an XBee module. 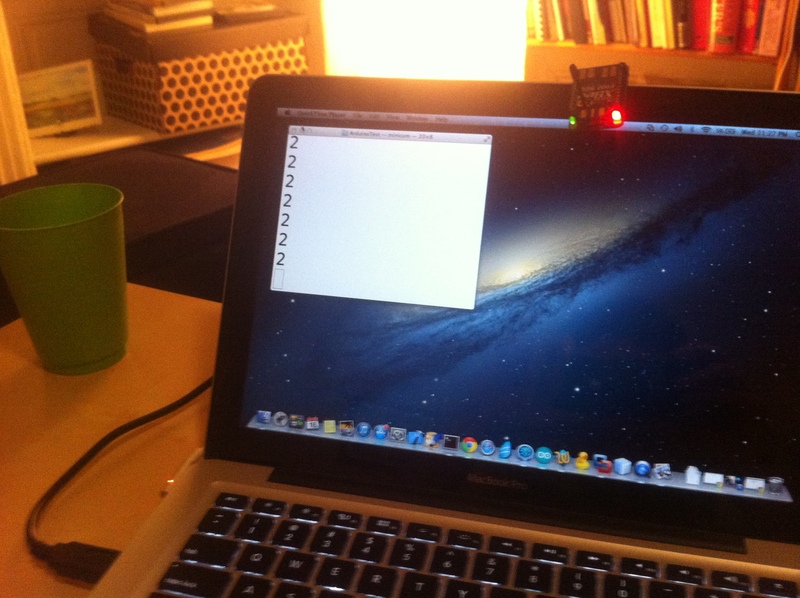 For this test my computer has a terminal window open to the FTDI cable connected to a second XBee module. The FTDI cable interfaces the UART pins on the XBee adapter to my computer’s USB port. When I flip the power switch, connecting the batteries to my setup, the program running on the Arduino first runs through the digits on the display as a test. Then it starts displaying and sending the actual distance measurements. As I pour the water in, the distance decreases and both displays reflect this. Using these XBees as a wireless link, my computer can monitor the water level even a significant distance away.